CIA Director Mike Pompeo called Julian Assange and his associates “demons” and accused WikiLeaks of siding with the world’s dictators and endangering the security of the “free world” with the help of states like Russia. Speaking at an event organized by the Center for Strategic and International Studies (CSIS) in Washington, DC on Thursday, the former Kansas congressman went on the warpath against the whistleblower website, accusing its editor Julian Assange of being on the “wrong side of history” and seeking to harm America, freedom and democracy. “It’s time to call out WikiLeaks for what it really is, a non-state hostile intelligence service, often abetted by state actors like Russia,” Pompeo told the audience. “The Russian propaganda outlet RT actively collaborated with WikiLeaks,” Pompeo added, repeating the unsubstantiated allegation by Hillary Clinton’s campaign from October 2016, when RT reported on the daily disclosures of emails from Clinton’s campaign chair, John Podesta. The CIA director rejected Assange’s reasoning that WikiLeaks had the right to publish documents that WikiLeaks obtained, arguing that the right to free speech does not apply to non-Americans. Note, subtext of Pompeo's statement that Assange doesn't have 1A rights is that no non-American reporters do. 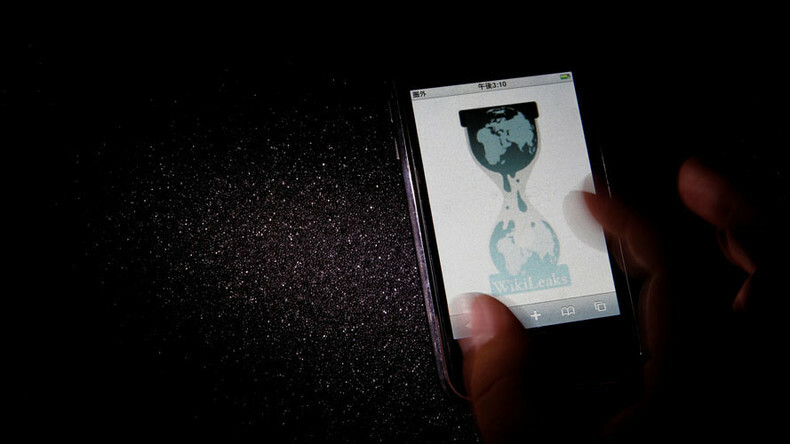 This is a marked departure from President Donald Trump’s position on WikiLeaks during the campaign, and even Pompeo’s own tweets while he was a member of the House of Representatives from Kansas, as some observant journalists pointed out. Pompeo confirmed that it was his agency that concluded that the Syrian government was responsible for the chemical weapons attack in Khan Shaykhun, which persuaded Trump to fire 59 cruise missiles at a Syrian airbase last week. “This is the man for whom veracity does not translate into English,” Pompeo said of Russian President Vladimir Putin. Earlier on Thursday, Trump tweeted that things will “work out fine” between the US and Russia. “At the right time everyone will come to their senses & there will be lasting peace!” he wrote. Trump hand-picked Pompeo to take over the CIA within a week of winning the election in November 2016, and the Senate confirmed him with a 66-32 vote just four days after the inauguration. Pompeo previously represented the Kansas 4th district in the House of Representatives for six years. Republicans held on to his vacated seat in the special election on Tuesday.